Bessie Head (1937-1986) was one of Botswana’s best-loved authors. Born in South Africa, the child of an illegal union between a Scottish woman and a black man, she was taken from her mother at birth and raised in a foster home until the age of thirteen. After training as a teacher and working as a journalist she fled to Botswana, where she remained in refugee status for fifteen years before gaining citizenship. All three of her major novels, When Rain Clouds Gather, Maru and A Question of Power, were written in Botswana during this period. Her short fiction is widely anthologised and used in schools throughout the world. 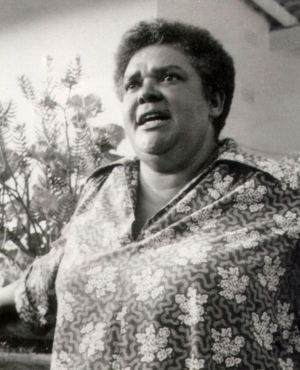 Bessie died in 1986 at the age of just forty-nine, whilst writing her autobiography. Her notes and jottings were edited and published posthumously as A Woman Alone.